Seattle’s modern architectural identity began with the Space Needle, designed by John Graham and Company, for the 1962 World’s Fair. The three pairs of beams supporting the spire lie buried 30-ft (8-m) underground, and have secured the 605-ft (185-m) Needle during several earthquakes and gale-force windstorms. 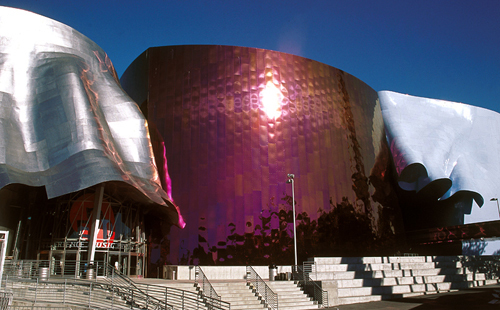 Designed by renowned Post-Modern architect, Frank Gehry, this technicolor facility resembles a smashed guitar, in homage to the incendiary finales of Jimi Hendrix’s early career. Paul Allen’s provocative project emphasizes Seattle’s role at the artistic and musical vanguard. 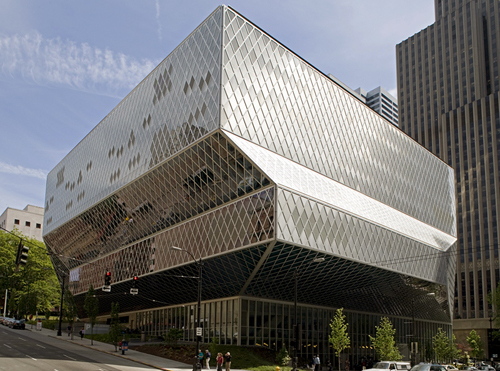 Award-winning Dutch architect Rem Koolhaas designed the $196.4 million insulated glass and steel structure to replace Seattle’s vintage-1960 Central Library. The unusual oblique structure and glass flooring have been controversial, but defenders of the building insist that once inside, people will love it. This 76-story skyscraper rises high above any other Seattle structure. Completed in 1985, from a design by Chester Lindsey Architects, it holds the US record for most stories in any building west of the Mississippi River. Three of the 46 elevators bring visitors to the posh private club at the top. It offers stunning views of Elliott Bay, the Olympic Peninsula, Mount Rainier, and the Cascade Mountains. One of the city’s favorite attractions is the Monorail, an exciting 90-second ride designed by Alweg Rapid Transit Systems. Each year, 2.5 million passengers board its original 1962 cars to get a taste of what designers imagined would be the mass transit model of the future. Unfortunately, a train collision in 2005 has closed down the monorail for the time being and plans to extend the system for mass transit have been put on hold. Designed by renowned Japanese architect Minoru Yamasaki in 1977, this unique 40-story structure resembles an upside-down skyscraper, as its main tower rises from a relatively narrow 11-story pedestal. Rainier Square, an upscale underground shopping mall, occupies much of its ground level. This charming Art Deco building was designed by architects Albertson, Wilson & Richardson in 1929. The façade’s tan brick and multiple shades of granite set it apart from its steel and glass neighbors. Vertical accents make its 27 stories appear even taller, and the lobby’s ornate bronze and marble detail is capped by a fanciful ceiling bas-relief depicting local flora and fauna. Typewriter tycoon L.C. 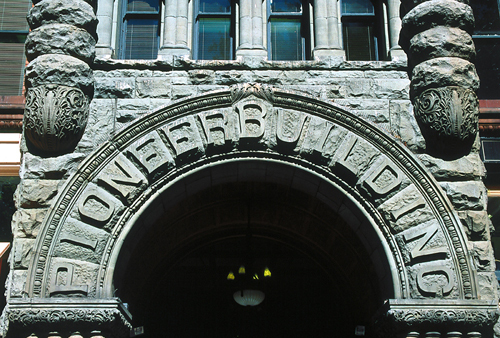 Smith erected Seattle’s first skyscraper in 1914. 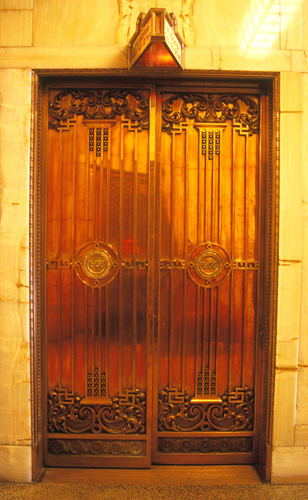 The white terracotta building has brass hand-operated elevators that take visitors to the Chinese Room at the 35th level, with its antique carvings and inlaid porcelain ceiling, and an observation deck. This striking 1892 building of red brick and terracotta, designed by Elmer H. Fisher, boasts a National Historic Landmark status. During the Gold Rush years, 48 mining outfits maintained offices here, and it became headquarters for a prosperous speakeasy during Prohibition. Bill Speidel’s Underground Tour starts here. From the Washington State Convention Center to the International District, this tunnel was designed to carry riders aboard buses that switch from diesel to electric energy while underground. All tunnel stations are within the Ride Free Zone. In 2005 work began to convert the tunnel for light rail as well as bus use. 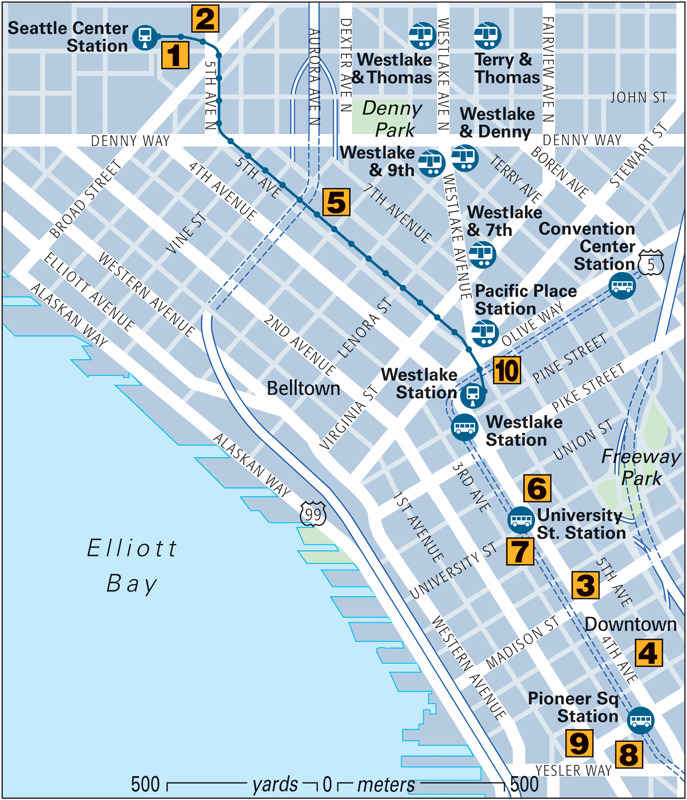 During the two-year project all tunnel bus routes will operate on surface street routes.